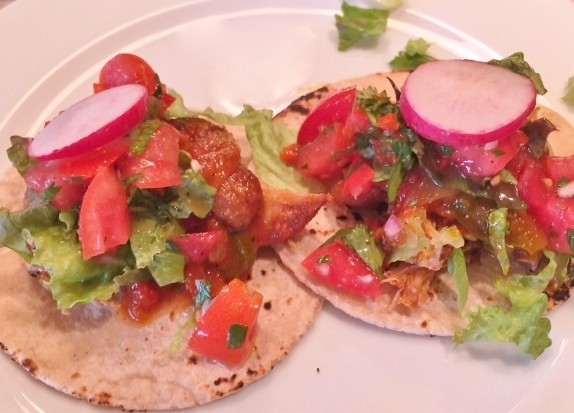 Slow Cooker Chicken Tacos - Recipe! - Live. Love. Laugh. Food. 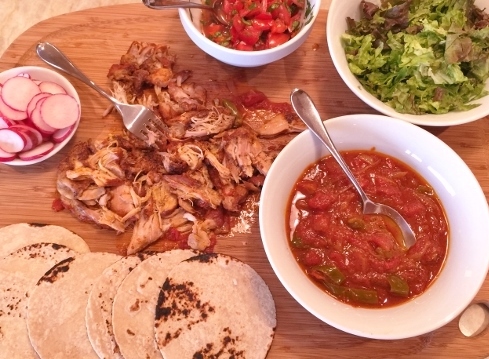 Slow Cooker Chicken Tacos – Recipe! When we were kids, we usually made our tacos from ground beef and a few dried spices, but as I got older and hopefully wiser, I began to fall in love with more authentic flavors of Mexico. One of my first Mexican cookbooks was “Mesa Mexicana” by Mary Sue Milliken and Susan Feniger. I read this book cover to cover and enjoyed learning about their cooking techniques and fell in love with the ingredients especially, ground Annatto seed powder. Annatto Seed Powder or Achiote powder, as it is sometimes called, is a bright red earthy spice that is wonderful added in marinades and sauces. This spice is often used as a coloring agent in many foods products, but I use it because of its flavor and mild spice it adds to any meat, without giving it too much heat. These Slow Cooker Chicken Tacos are one of my favorite meals and if you are busy like me, preparing them in a slow cooker is nice because it saves time without giving up fresh taste. I think you will enjoy them during the week, but also for gatherings on the weekend without much fuss. You can easily double the batch for larger groups and freeze the extra meat for another night. 1. In a small bowl, combine onion powder, dried oregano, salt, paprika and cayenne. 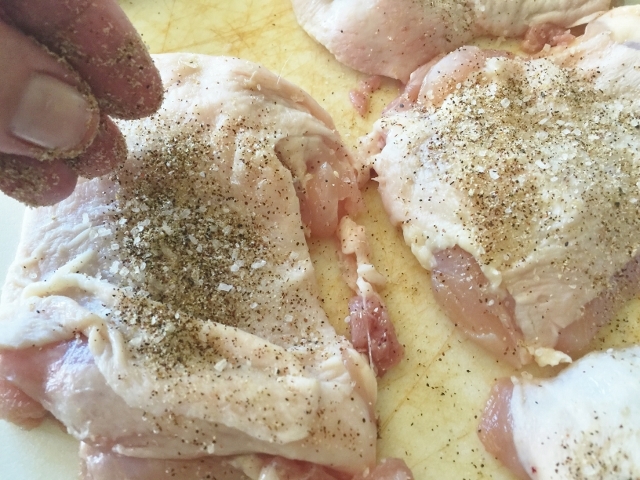 Sprinkle chicken with the dried spices on both sides. 2. In a slow cooker insert or large pot over medium high heat, add 3 tablespoons of oil. 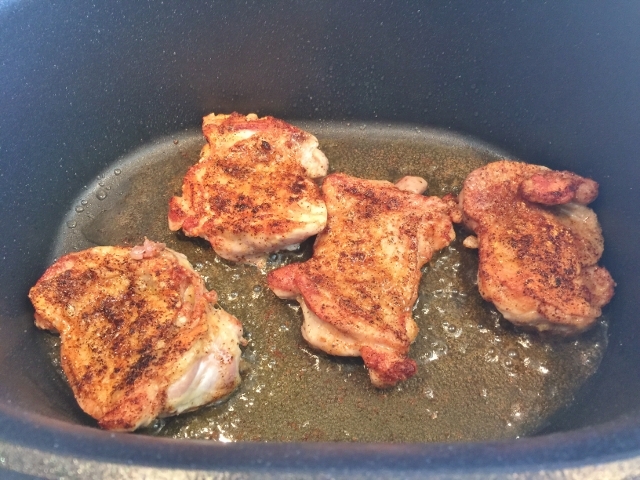 After 2 minutes add chicken, skin side down and cook for 3 minutes, or until golden brown. 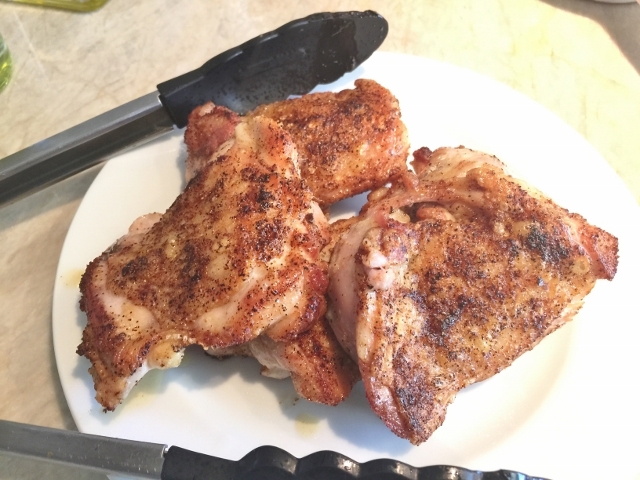 Flip chicken over and continue to cook for 3 more minutes. 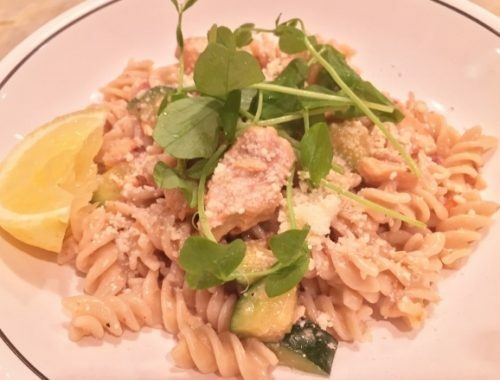 Remove chicken from the pot and place on a plate. 3. 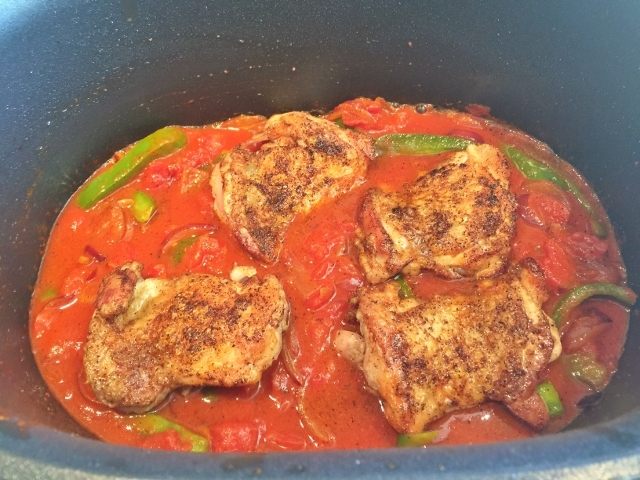 Slice onion and bell pepper and add to slower cooker pot, or stove top pot. Saute veggies for 4 minutes. 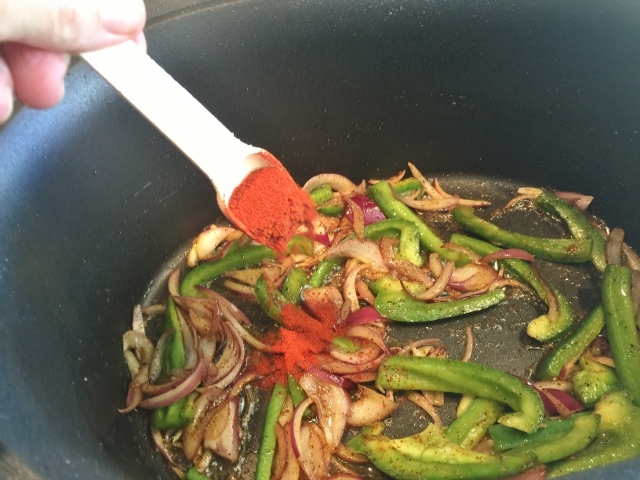 Add annatto seed powder, stir and continue cooking for 2 minutes. 4. 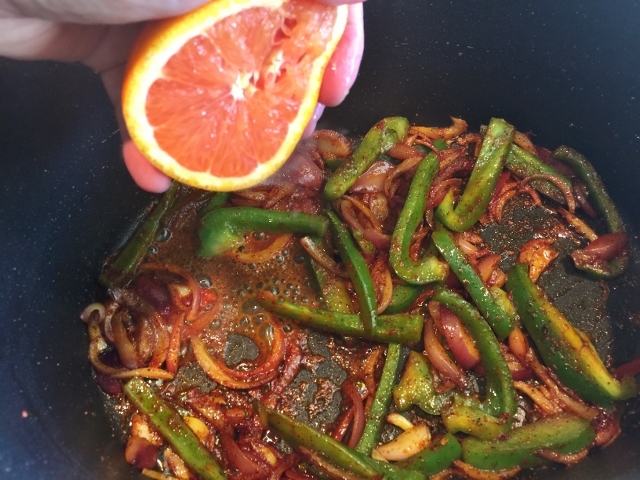 Squeeze juice of orange over onion-pepper mixture and stir. Then, add can of tomatoes, stir. 5. Add chicken back into sauce and place insert into slow cooker and set on high for 4 hours to cook. If you are making this on the stove top, cover and turn heat to simmer, and cook for 1 1/2 hours. 6. 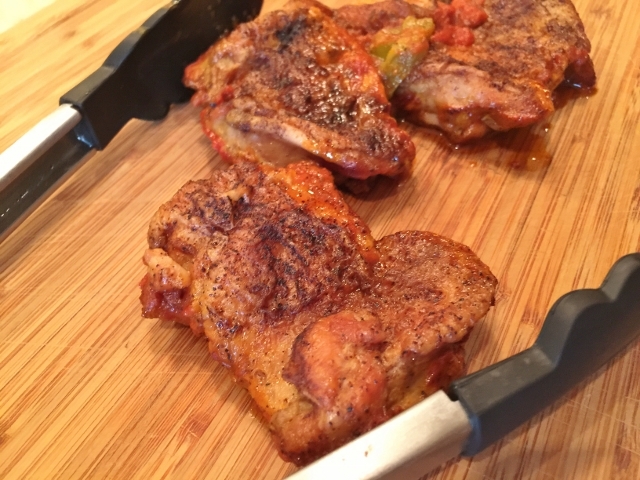 Remove chicken from sauce and place on a cutting board. 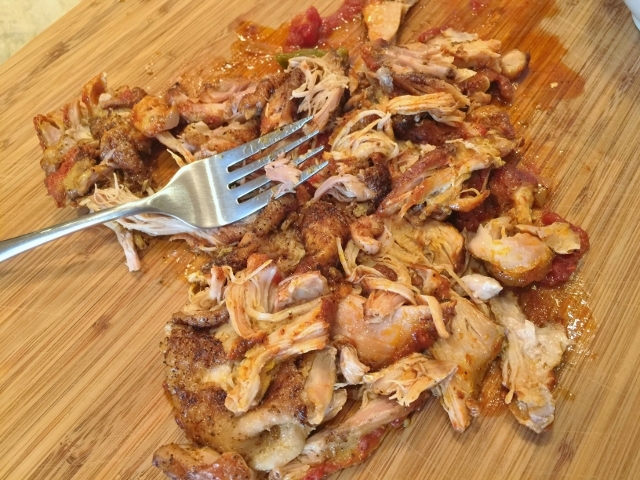 Shred chicken with a fork. 7. 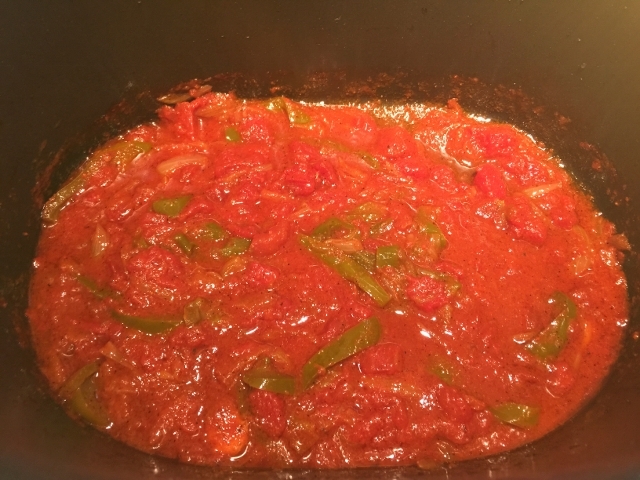 Place sauce with onions and peppers in a bowl, along with shredded lettuce, pico de gallo and radishes. 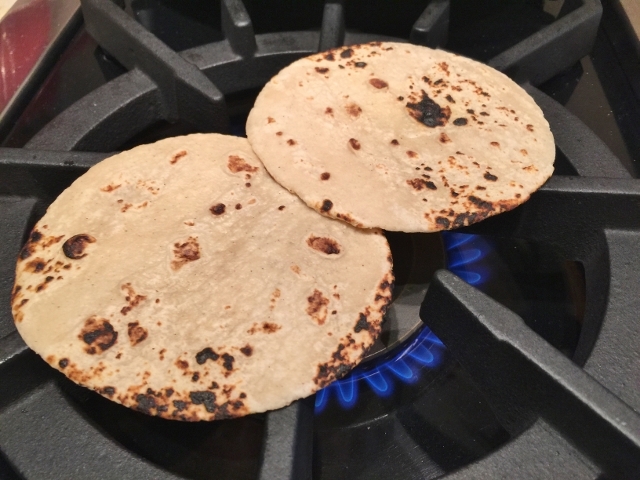 Toast tortillas over an open flame on stove, or under the broiler on a sheet pan. Serve tacos with all the condiments – family-style. Enjoy! 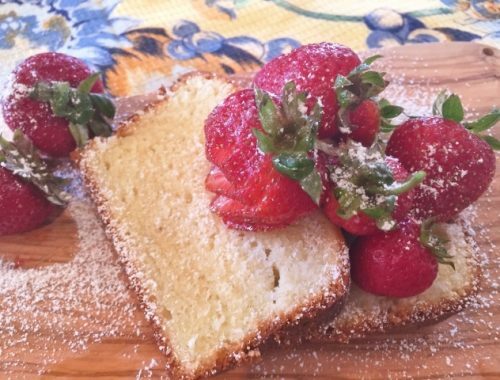 Vanilla Bean Pound Cake with Fresh Strawberries – Recipe! 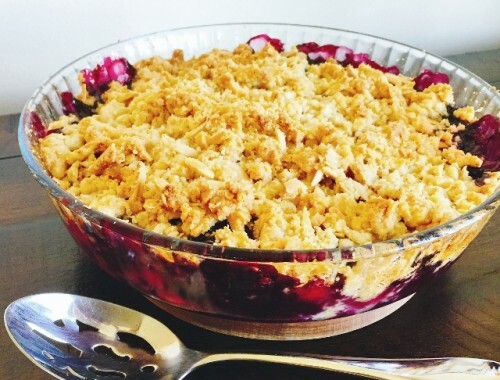 Mixed Berry Oatmeal Almond Crisp – Recipe!